Re-examining Mary Douglas work on pollution and concepts of purity, this volume explores modern expressions of these themes in urban areas, examining the intersections of material and cultural pollution. It presents ethnographic case studies from a range of cities affected by globalization processes such as neoliberal urban policies, privatization of urban space, continued migration and spatialized ethnic tension. What has changed since the appearance of Purity and Danger? How have anthropological views on pollution changed accordingly? 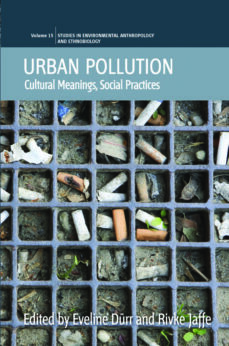 This volume focuses on cultural meanings and values that are attached to conceptions of clean and dirty, purity and impurity, healthy and unhealthy environments, and addresses the implications of pollution with regard to discrimination, class, urban poverty, social hierarchies and ethnic segregation in cities.